Summertime: the season of a lot of colorful, exciting seasonal flowers! Our cooler is filled with all kinds of extraordinary varieties, which sometimes are only available for a short period of time. 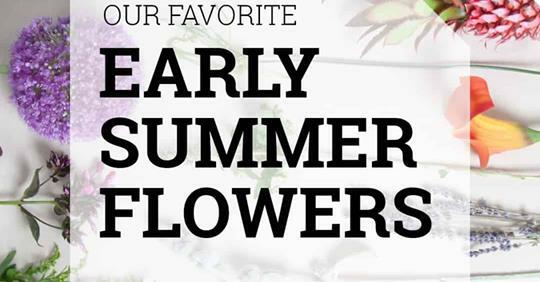 That’s why our buying team has selected their favorite early summer flowers.